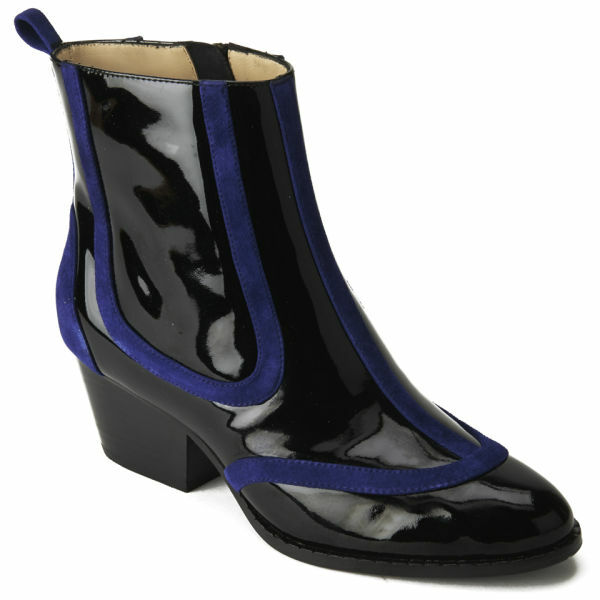 Vivienne Westwood Red Label present the women's Cuban heel ankle boots. Crafted from supple black suede and brushed with a lustrous metallic coating, the round toe ankle boots flaunt a unique aesthetic, enhanced further with a burgundy, buckle strap to the ankle and a classic, 2.5 inch Cuban heel. Wear with coated jeans and a charcoal grey coat for a touch of festive sparkle. 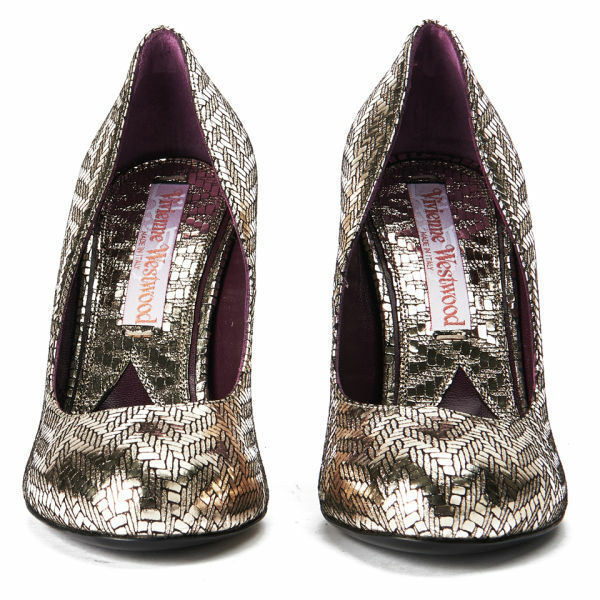 Vivienne Westwood Red Label present the women's lace 'Gillie' heeled court shoes. 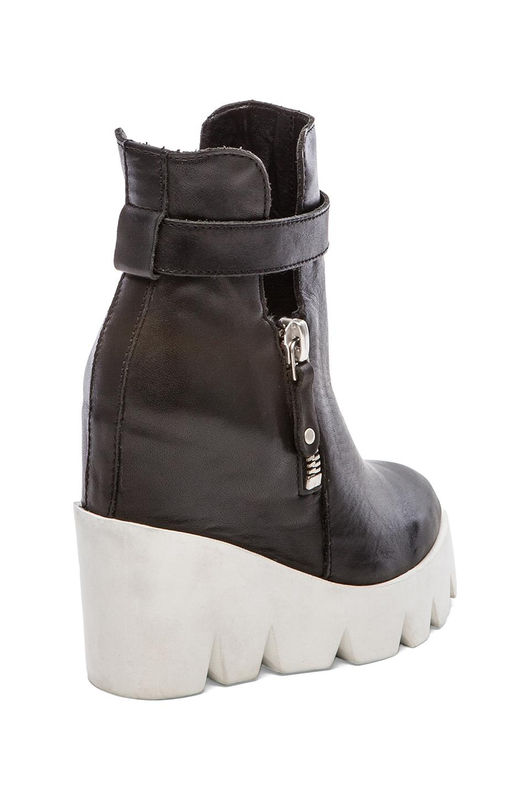 Crafted from contrasting panels of leather, the metallic finish courts with rounded toe and chevron detail feature a lace up front with quirky, contrasting laces, edgy cut-out detailing and a high heel. These are perfect for the office, individual and quirky. 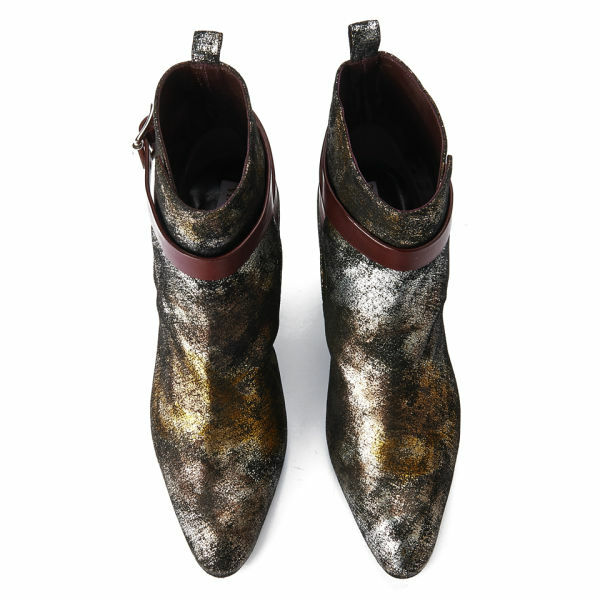 Vivienne Westwood present the women's 'Harlow' Chelsea boots. 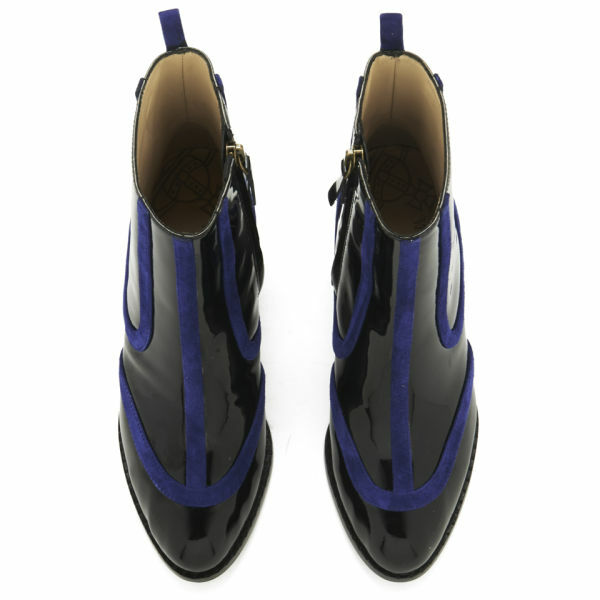 Crafted from patent leather and detailed with contrasting, navy blue piping, the stylish boots are set upon a stacked, two inch heel with a genuine leather outsole. Inside zip entry and a pull loop assist in easy wearing, whilst the leather lining and insole ensure luxurious comfort. 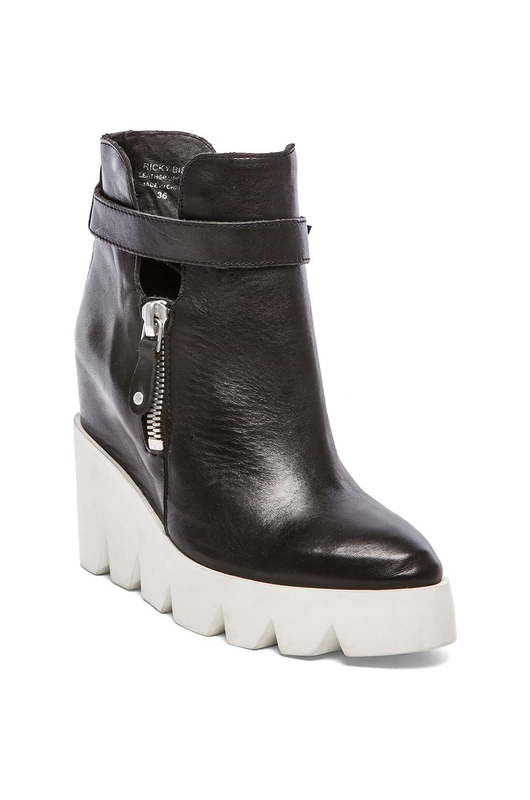 They just need to be paired with bleached out boyfriend jeans rolled up to the ankle bone and a huge slouch jumper. Vivienne Westwood Red Label present the women's heeled court shoes. Crafted from metallic coated suede, the slip on courts with rounded toe and chevron detailing are a high shine update on a classic with a mid-height heel for a subtle lift. Pretty enough to wear for evening events and parties, yet comfortable enough to ensure that you can keep dancing all night long. I don't usually do beauty posts or product reviews, but I do love to always have my face and nails done whenever I leave the house. It's part of the whole 'armour for the outside world' thing I think! Having my makeup done and nails looking pretty gives me confidence with the two first things that someone sees when they meet you for the first time in business - your face and your hands. I love luxury products primarily but a lot of high street cosmetics are great for finishing touches, and both of these products will cost you just £4 total to buy. So for that I figured they were worth a try. The products were sent out within a couple of days of agreeing to give them a whirl via Facebook, and first impressions were good. Both have very simple packaging, as you would expect at this sort of a price point, and the transparency used for both products gave me a clear indication of what I could expect in terms of colour. This is really key when choosing cosmetics, so it was easy to see straight away that the colours were suitable for my skin tone. The highlighter surprised me, proving to be excellent value for money. The subtle sheen when used to highlight both brow and cheekbones gave a dewy finished end result that I really like. As shown, just to explain, I do love to use facial scuplting and shading on a daily basis anyway, so this was used in conjunction with a toning palette to create cheekbone definition and to slim down my nose. 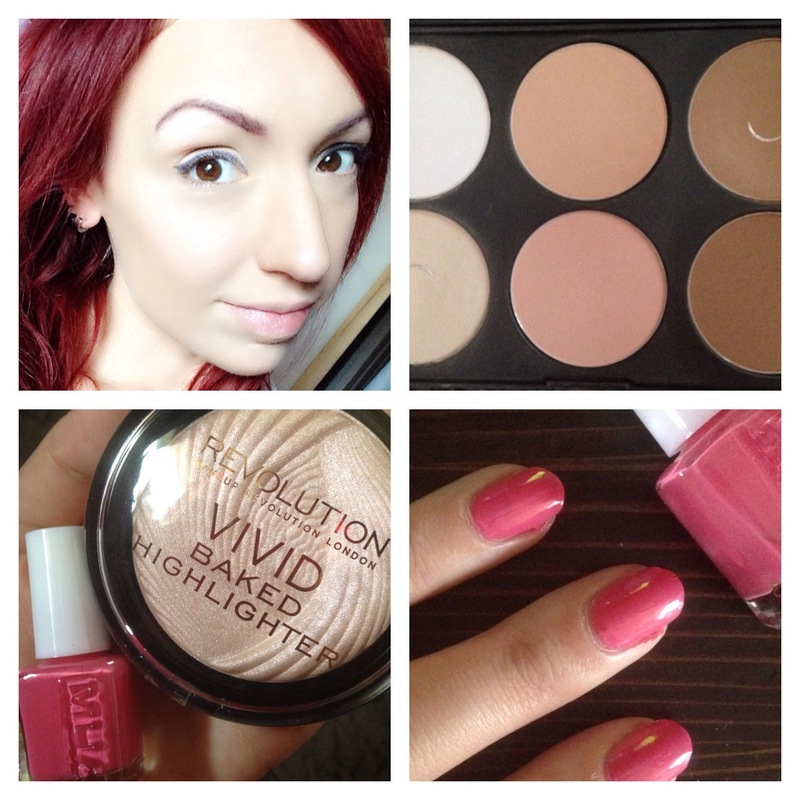 I'd definitely buy the highlighter again and will look forward to trying the other colours in the range. I'd give it a solid 4/5 for what it does for just £3. The nail colour is bright and pink and irrisistably sassy. I like the easy to use brush handle which felt easy to keep hold of (not always easy when you have tacky nails) and the brush made the colour extremely easy to apply. I didn't make any mistakes or feel like it was dragging at all. The colour went on evenly in just two coats and my nails were done in minutes. 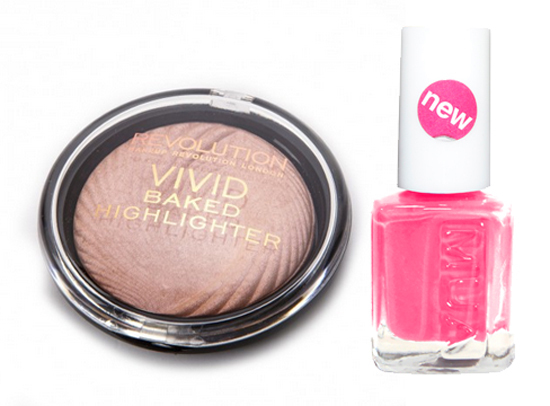 At just £1 this means if you like to change up your look often the MUA nail colours represent fantastic value for money. I am usually a huge OPI devotee, but for a fun and affordable way to inject colour into your manicures then consider giving them a try. I was surprised at how great this was and I have to rate them at 5/5. I till definitely buy them again. Black mohair-silk blend patchwork lace dress featuring a funnel neck, long sleeves and fringe details. Black patent leather popelin booties from featuring a peep toe, a high stiletto heel, pleated top trim and a bow tie front fastening. I can't think of anything better to wear on Christmas Day. This is my idea of style perfection. You may well remember my post about the divine ASH Roxane boots from back in September, and how much I have been marvelling about the stunning cleated wedge. 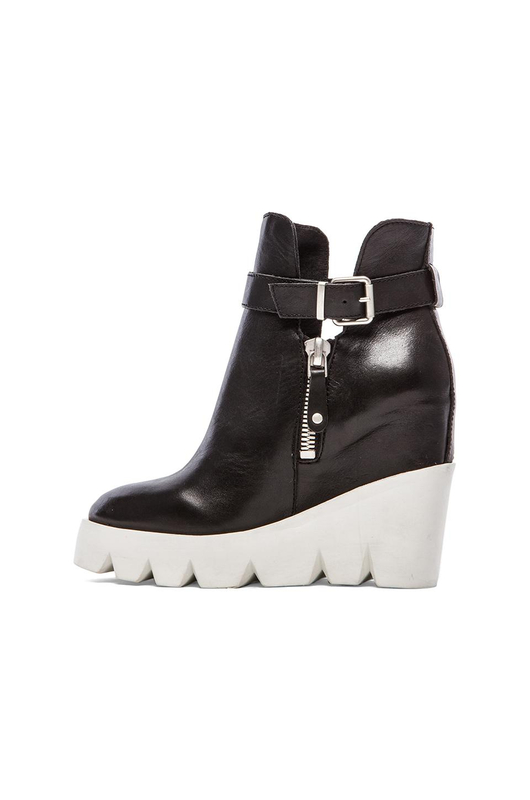 The Ricky style takes this a step further, with not only a black wedge version, but a chunky white wedge too. Think Nike Blazer meets Stella McCartney and you'll be on the right track. Fierceness for days! The wedge looks even better in white albeit granted a little bit like LEGO. 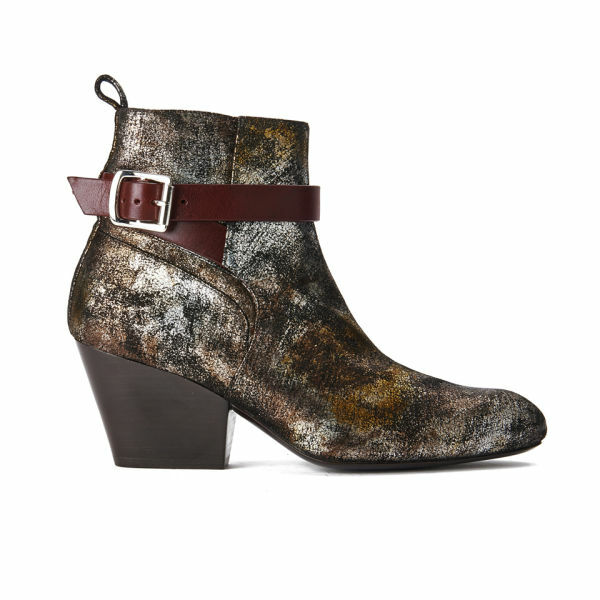 I do love it though, and also the cut-out featuring on the ankle and the buckle. 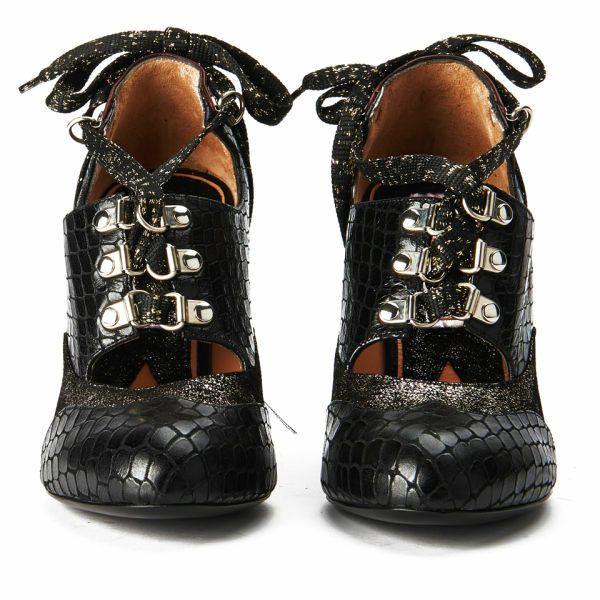 Who wouldn't want to take these babies out to splash in some puddles? 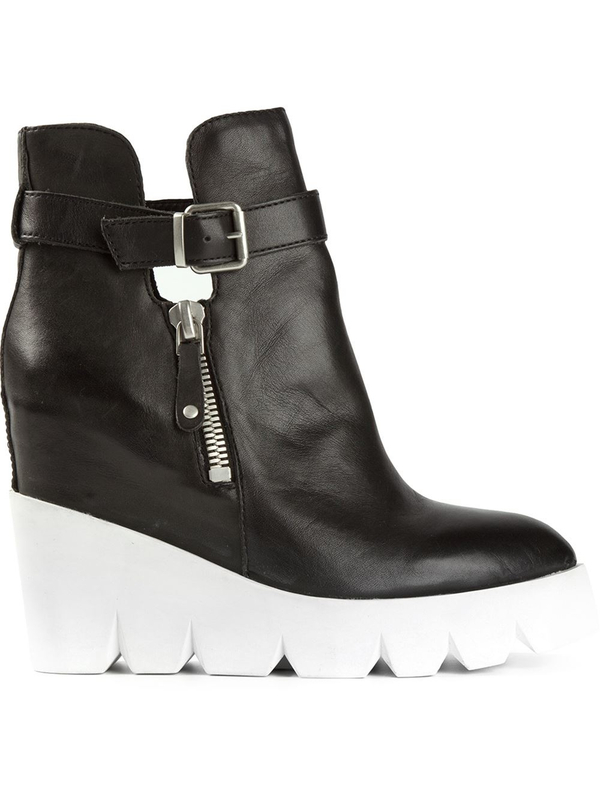 They'd look amazing with anything from leather skirts to tea dresses, and coated leggings to boyfriend jeans. If you do want to add them to your shoe collection then be quick, these are surely destined to become something of a celebrity fan favourite.